Turns out, carrying hard medicines while travelling makes people more prone to pop them, against doctor’s recommendations. 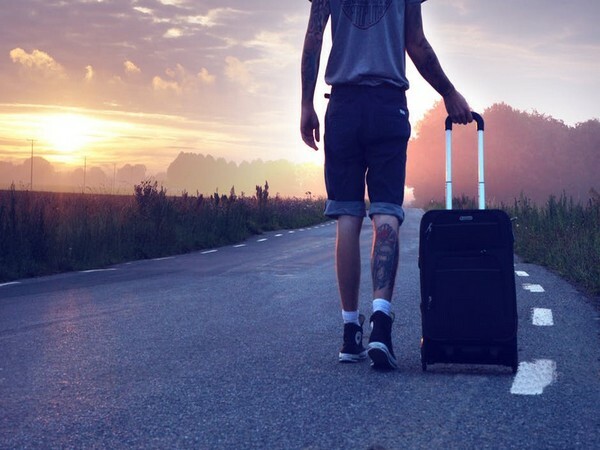 According to a study conducted by the University of Helsinki, travellers carrying standby antibiotics take them more often than those travelling without such drugs. Having antibiotics packed in the bags allows their use – against recommendations – also for mild and moderate diarrhoea, i.e. cases not requiring medication. Increasing antimicrobial resistance, primarily caused by the excessive and uncontrolled use of antibiotics, is a globally recognised severe threat to human health. Returning home, approximately every third traveller to the tropics carries intestinal multiresistant bacteria. The risk of having contracted such bacteria is doubled by taking antibiotics during the journey. Seeking means to avoid unnecessary antibiotic use, the study was carried out aiming to identify factors increasing antibiotic use among travellers. “To cut down unnecessary antibiotic use, the underlying factors need to be explored,” said Anu Kantele, the project lead. The study comprised 316 prospectively recruited subjects who had contracted travellers’ diarrhoea during their visit to the tropics. Of the 316 participants, 53 had brought stand-by antibiotics from Finland. The most common reason for antibiotic use was diarrhoea, the most prevalent disease among travellers to the tropics, followed by respiratory infections. As risk factors associated with the use of antibiotics, the study identified carriage of stand-by antibiotics, vomiting, diarrhoea disrupting or preventing daily activities and contacts with local health care at the destination. Of those carrying vs not carrying stand-by antibiotics, 34 percent vs 11 percent resorted to antibiotic therapy. Severe diarrhoea was treated with antibiotics similarly in the two groups, yet carriers of stand-by antibiotics also used them for mild and moderate diarrhoea. “According to the Finnish guidelines, antibiotics should be used for diarrhoea patients with a high fever or an exceptionally severe disease or deteriorating condition, or if they have an underlying disease which may become aggravated,” said Kantele. Rather than the severity of diarrhoea, the factor determining recourse to antibiotics was travellers’ subjective experience of disturbance of daily activities. “Physicians in Finland and elsewhere should give up routinely prescribing antibiotics against travellers’ diarrhoea,” Kantele concluded. The study appears in the journal Travel Medicine and Infectious Disease.